From active volcanoes to beautiful emerald lakes, this trek takes you through some of New Zealand’s most stunning natural landscapes. If you’re anticipating this walk, we’ve compiled some of the most common questions asked about New Zealand’s famous Alpine adventure that will encourage you. 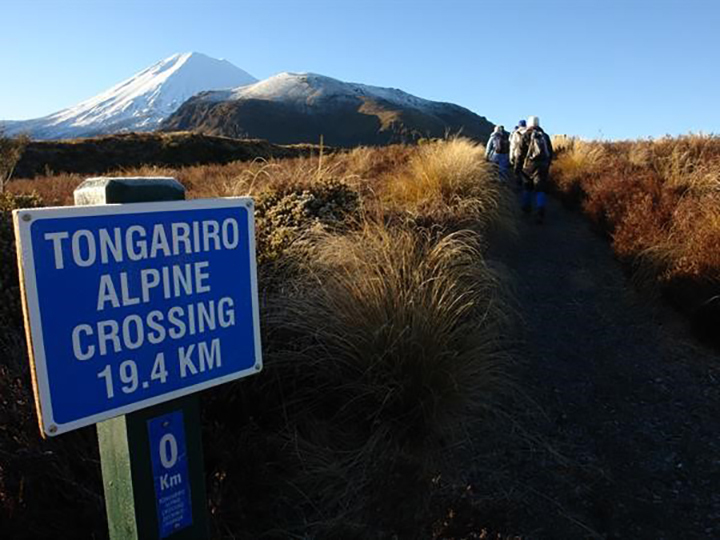 What is the Tongariro Alpine Crossing? 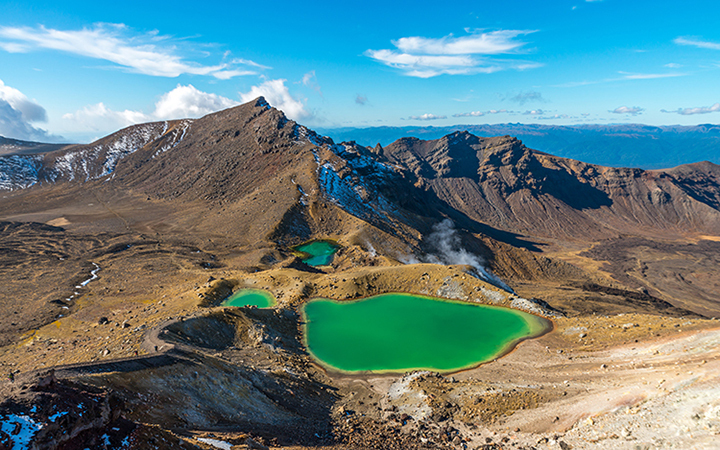 Tongariro National Park is New Zealand’s oldest national park and a World Heritage Site. 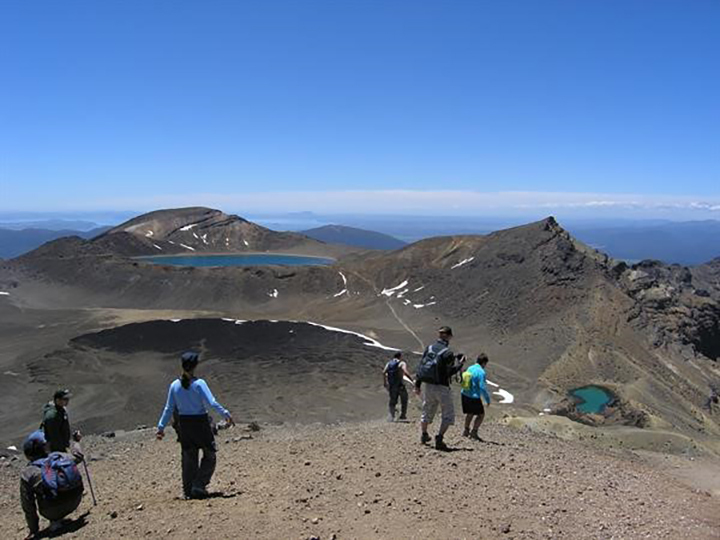 The Tongariro Alpine Crossing is a hike through the national park, covering some awe-inspiring scenery, including the volcanic peaks of Ngauruhoe, Tongariro and Ruapehu. With panoramic views, active volcanoes, incredible lava flows, steam vents and emerald-coloured lakes, the crossing is regarded by many to be New Zealand’s greatest day-walk. On a clear day you can see Mt Ngauruhoe, Mt Taranaki in the west, the Kaimanawa Ranges, Lake Taupo and beyond. Thousands of people from all around the world come to New Zealand to do the crossing, many of whom have no experience in hiking. However, as with all physical activity, the suitability of the walk comes down to the individual. The trek itself is 19.4 Km, or just over 12 miles, and can take up to 8 hours to complete, so it’s not just a simple walk in the park. The high-altitude crossing includes some steep hills and rocky terrain, so a basic level of fitness is required. For anyone not used to this level of activity, it is recommended to participate in a gradual build-up of exercise in the weeks and months preceding the crossing. The crossing begins at Mangatepopo car park where you will be dropped off. The first half hour or so of the track is fairly flat, but will gradually start to rise as you head to the first stop, Soda Springs, where you will find amenities. Most people reach this first stop between 60 and 90 minutes. The next step of the journey is tougher, with a steep climb called “The devil’s staircase”. You may need to take your time with this part, allowing up to an hour to complete, but the panoramic views at the end are worth it. From there you head towards the Red Crater, and if you have an extra couple of hours, a side trek to the summit of Mt Tongariro is an added bonus! The Red Crater marks the highest point on the crossing, and the smell of sulphur is a reminder that this is still an active volcano! It’s all downhill from here, and the walk from the Red Crater to the Blue Lake is perhaps the most famous and beautiful part of the crossing. The Emerald Lakes are three craters which have filled with water over the centuries, with their stunning green/blue colour coming from minerals which have leached from the surrounding volcanic rocks. From there it’s a walk around the lip of the crater to the sacred Blue Lake, and this marks the beginning of the descent as you zigzag your way down to the Ketetehai Hut where the end of the Tongariro Crossing is in your sights. As popular as the Tongariro Crossing is, remember, it’s not an organised trip. At the end of the day, you are the one responsible for the trek. That means you need to take the necessary precautions for an 8 hour hike over a mountain range. Make sure you bring plenty of water, as there is no clean drinking water available along the route. Warm clothes are essential, preferably waterproof, and a good pair of sturdy boots with ankle support. The weather can turn quickly up there, and is notoriously unpredictable. What starts out a nice, sunny morning, can rapidly become a storm, so make sure you check the weather forecast before setting out. Even if the weather is perfect you need to protect yourself from the sun, so pack a high SPF sunblock and sunglasses. And of course you won’t find any restaurants, so bring plenty of high-energy food to keep you going during the trek. But perhaps the most important thing to bring is a camera to capture some of the most stunning scenery New Zealand has to offer. The Park Hotel offers the biggest variety of accommodation in National Park and is the ideal base for exploring the Tongariro Alpine Crossing. We offer a range of great packages including breakfast, guided walks, packed lunches and transport to and from the track. We also offer a great value guided Winter Tongariro Crossing Package that includes a 1 day guided walk with Adrift Guided Outdoor Adventures + 2 night’s accommodation, meals and more. Let us take care of the details, so you can fully enjoy New Zealand’s most popular day walk. Contact us today if you have any questions about our exclusive crossing deals.